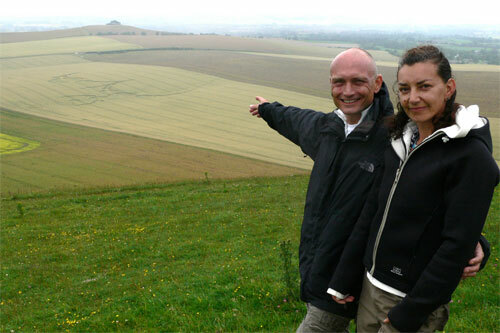 This enormous crop circle formed in the early morning the 7th of July 2007 at East Field, in Wiltshire. are often on night watches. Knap Hill is the highest green hill in the foreground. East Field is the closest field to the right. 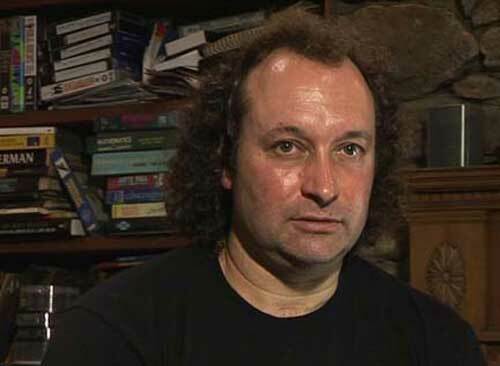 In 1999, computer ingeneer and inventor Winston Keech, witnessed a ball of light make a crop circle. Winston a feeling that this might be the right place to spend the night. sweeps across the fields beneath the hill. recorders with video tapes of 4 hours duration. 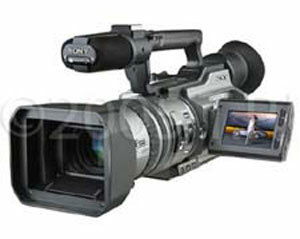 Sony's VX2100 light sensitive digital film camera. Wiltshire. On Friday the 6th of July he gets an intuitive hunch to spend the night at Knap Hill. 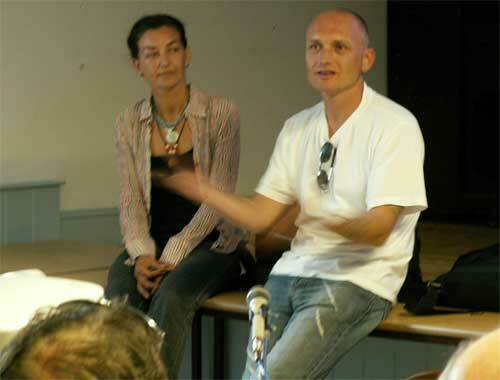 He and his partner Paula Presdee-Jones arrives at Knap Hill about 01.30 am the 7th of July. change the cassettes. 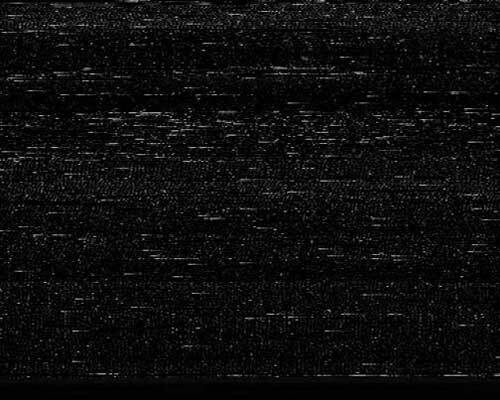 It afterwards turned out that the tape ran out only two seconds after the flash. the lights from cars passing by on the road on the far side of East Field. measuring devices with laser light, if these were used on the fields below Knap Hill. means something has happened at East Field. 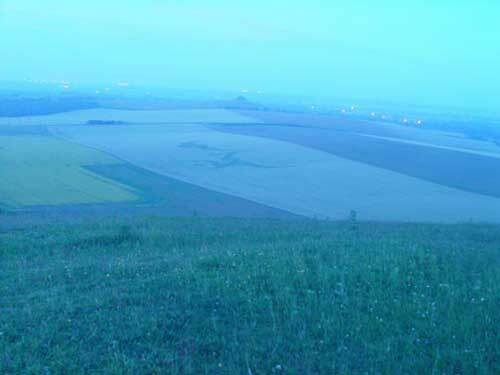 The still taken with the image enhancing camera at 03.20 am, reveales a shadow in East Field. enough light for them to make out any details with the naked eye. 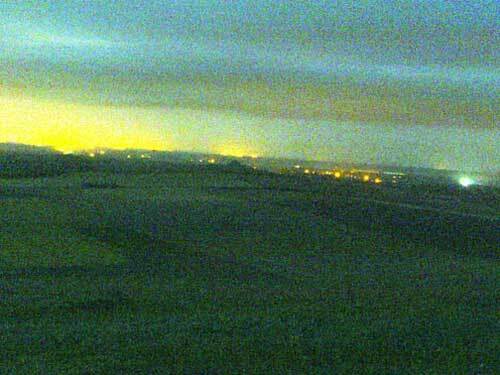 The still photo from 03.45 am clearly shows the formation in East Field. At about four o'clock they can clearly see the impressive formation in the middle of the field. Knap Hill Winston is filming the two as they enter the enormous crop pattern. before it finally stops the frenetic grazing. East Field at that time. At 03.20 the early dawn gives enough light for the most light sensitive camera to "see"
This means that the circle has formed within a time frame of maximum 1 hour and 45 minutes. 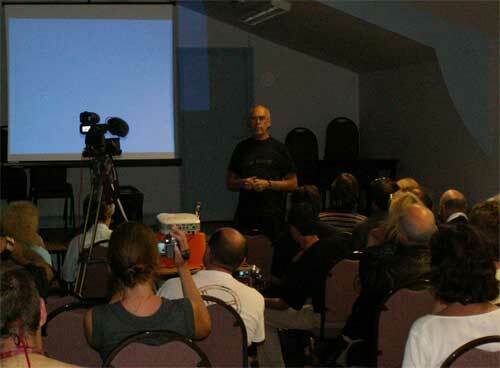 any kind of equipment with a light source, took place at East Field during the dark hours. Photo: Lucy Pringle. See more of Lucy Prigle's crop circle photography here. 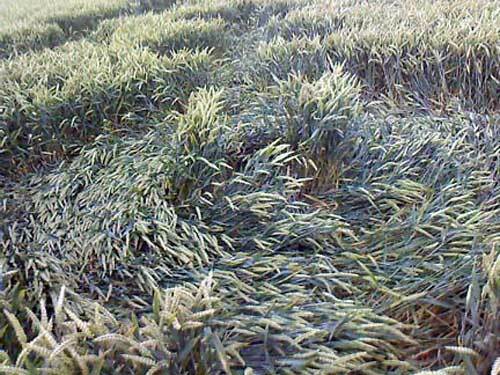 The gigantic crop pattern is aprx 350 metres long and more than 60 metres wide. It's made up of more than 150 circles. 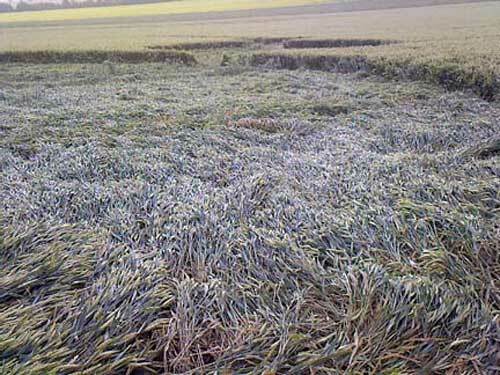 Over 20.000 square metres of crop is flattened. visitors in other parts of the pattern. 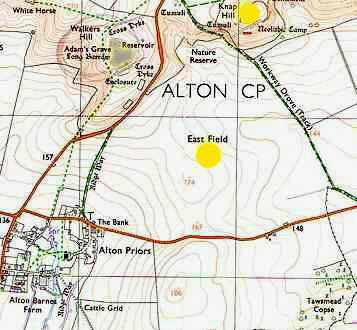 the ones lying in slopes are ovals. This makes the pattern look perfect from the air. in daylight, be an impossible task in 1 hour and 45 minutes! any form of light, in a field inundating with several metres! 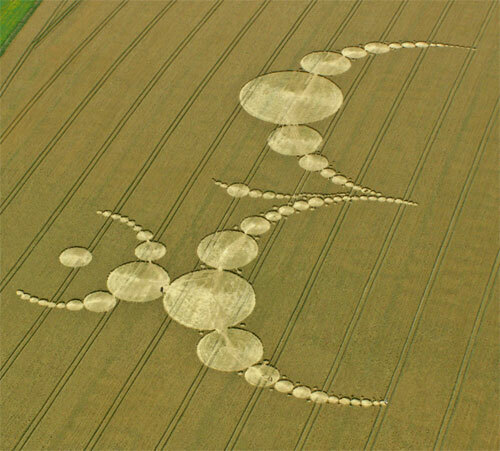 "Crop Circles, crossovers from another dimension", and tells him the story. It turns out that his expertise will be very important in the process of analyzing film material. releases in English news papers, and also in a presentation on the TV channel Sky News. Neither the news papers nor the TV feature ridicule the event! the crop circle phenomenon very positively. 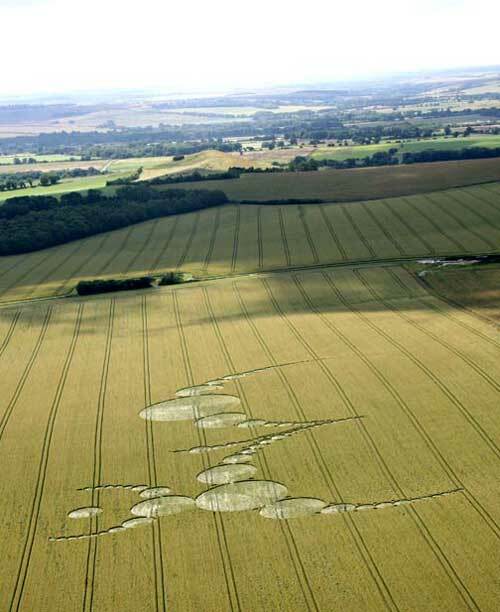 They have most often dismissed or even ridiculed the crop circle mystery. mystery its well deserved justice!! !